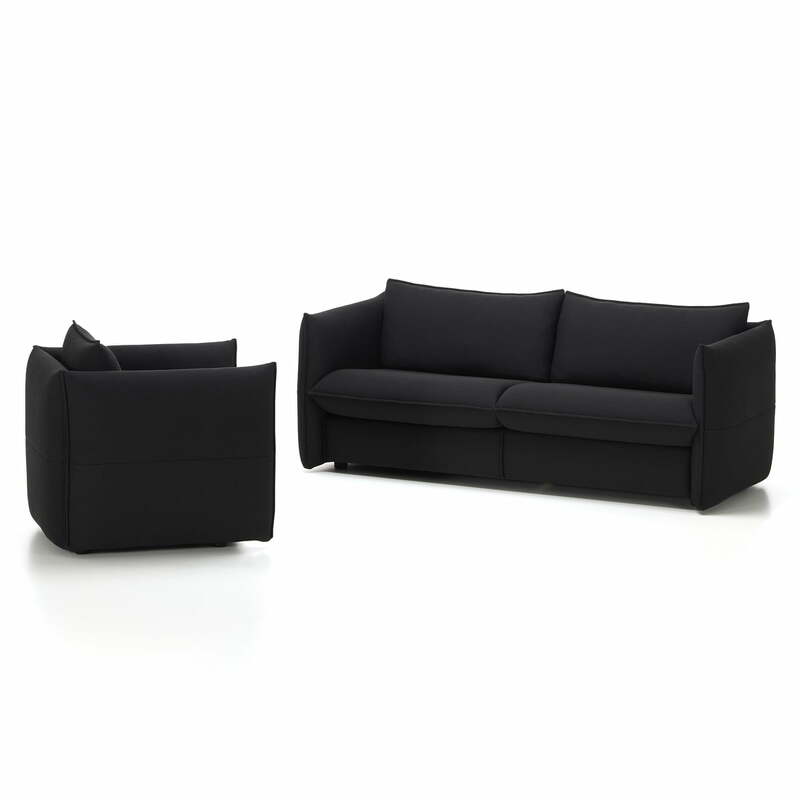 Vitra extents the Mariposa family with the Club Sofa. Unlike the existing Mariposa seating furniture, this variant does not have adjustable back and armrests. On the other hand, the overall dimensions are reduced, which makes it possible to use it in small spaces, thus satisfying modern, urban living. The sofa designed by Edward Barber and Jay Osgerby can be set up alone or in combination with other seats as part of a comfortable seating area. A particularly practical feature is that the cover can simply be removed and easily cleaned. High comfort is ensured by the high-quality padding, which is supported by a sturdy, webbed metal frame with polyurethane foam. 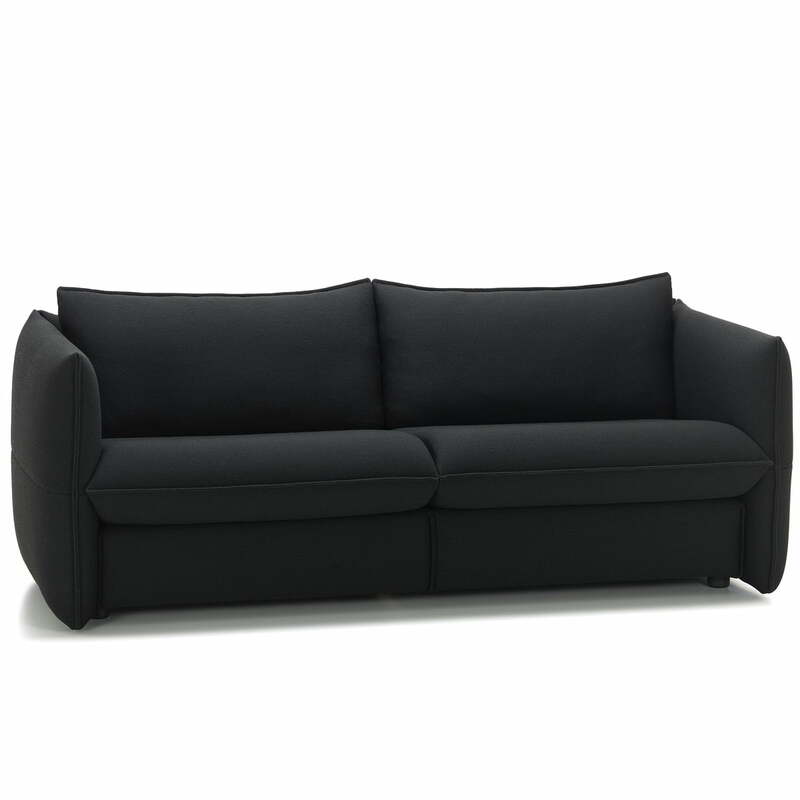 The wide range of fabrics and colours allows individual configuration of the sofa. Please feel free to contact us for advice. 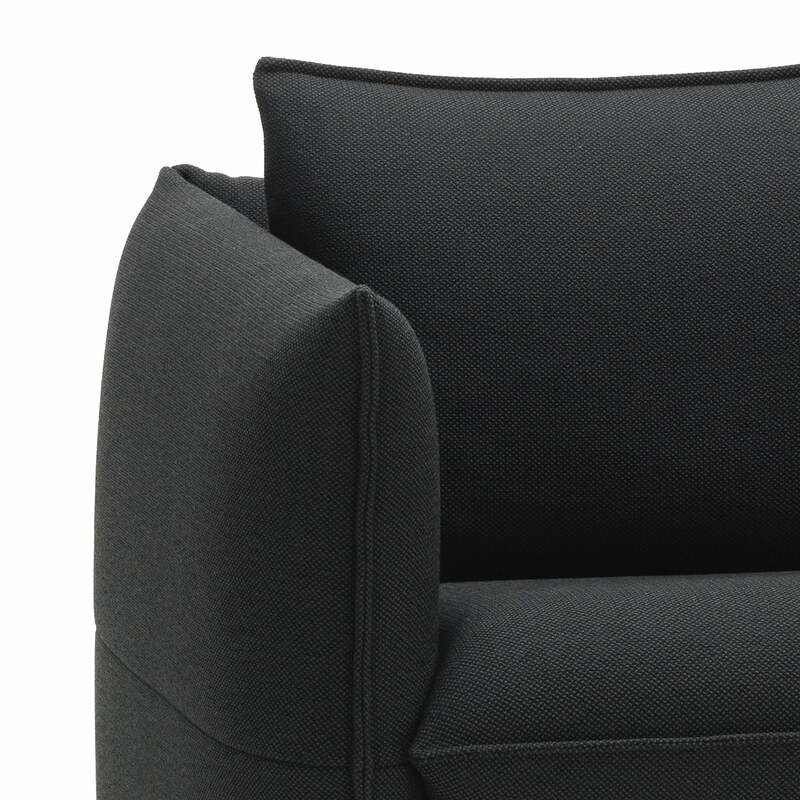 A matching Club Armchair by Vitra is also available in different colours and materials. Mariposa Club Sofa by Vitra in Plano dark grey / Nero (62) Unlike the existing Mariposa seating furniture, this variant does not have adjustable back and armrests. 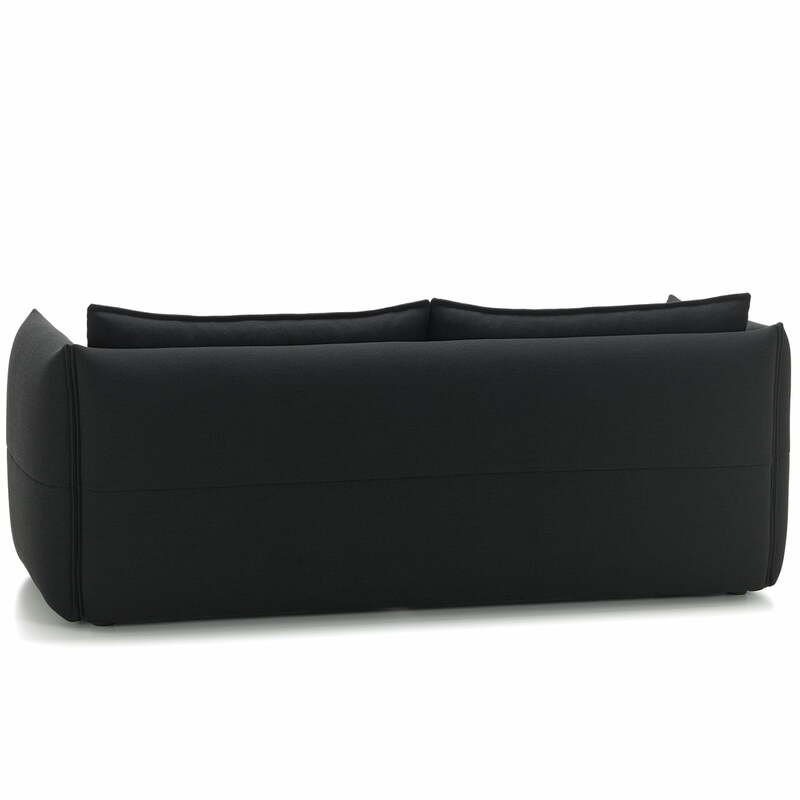 Isolated product image with back view: The sofa designed by Edward Barber and Jay Osgerby can be set up alone or in combination with other seats as part of a comfortable seating area. Group product image: The armchair and sofa from the series guarantee comfortable afternoons reading or taking a nap as well as cosy evening with friend and family. The various versions of the series offer solutions for a wide variety of requirements in size and spatial planning and radiate comfort in a modern way. 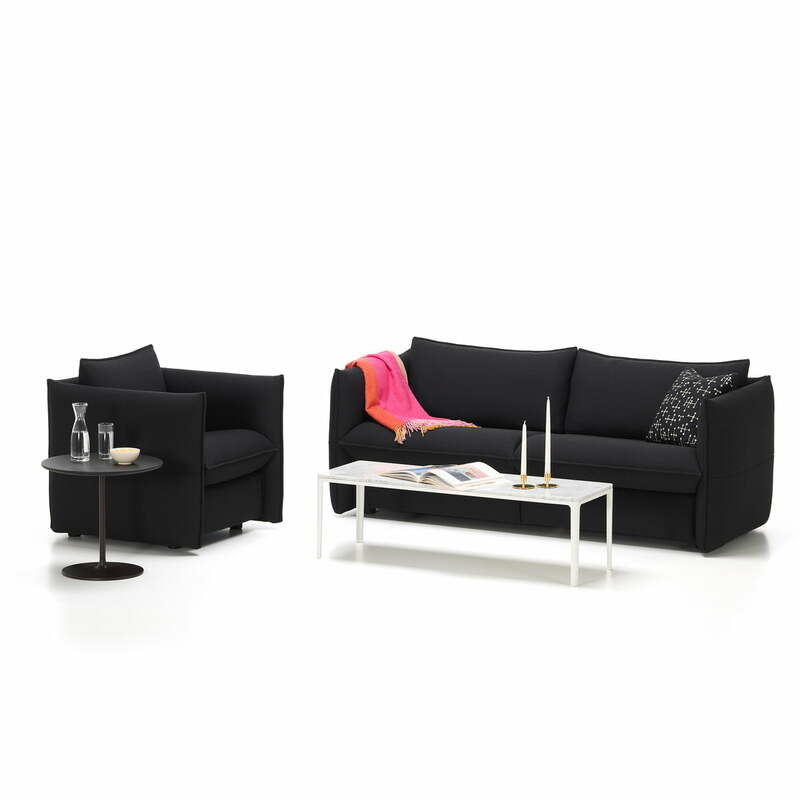 Mariposa Club Armchair and Sofa by Vitra: Unlike the previous Mariposa furniture has the Club version not out landing cushioned backrests and armrests.